Gary Pinkerton starts off today’s show discussing the importance of having goals, but also making sure to write them down and figure out a way to hold yourself accountable to them. If you don’t then you just have a list on paper and your success is much less likely to happen. Then, Jason Hartman interviews research scientist Dr. Heidi Grant regarding the science behind human motivation and success. There are many successful people in the world who are highly motivated and have concise goals, but how many actually understand why they’re successful or why they fail? The common belief is that certain people are just genetically wired to succeed or fail. Heidi states this is not entirely the case and shares the findings of scientific research on achievement. She talks about strategies that people use, principles that people can count on and apply to their own life, and states that our own intuition about what helps us succeed or causes us to fail can often be incorrect. 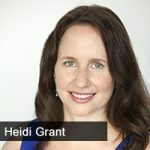 Heidi explains the psychological factors behind how people react to challenges, the beliefs and mindsets that people have as they try to reach a goal. Jason and Heidi also discuss the relationship between money and happiness, expressing that there is a money point where it does make it easier to make choices and pursue the things individuals find interesting in life, plus containing a sense of accomplishment and opening the door to help others.